As a wash-ashore resident of Cape Cod, I never cease to be amazed by the beauty of our chosen home. A frequent guest at our Sandwich Bed and Breakfast has a saying, “If you’re lucky enough to live on Cape Cod, you’re lucky enough.” I have come to fully understand the truth in that statement. Charlie and I have lived many places from east coast to west coast, most a result of moves to accommodate career momentum. 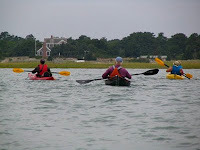 But, from the early morning fog on the marshes to the push and pull of the tides, it is the serene beauty of Cape Cod that has stolen our hearts. From the moment the first crocus pushes its little face through the snow to reach the warmth of the sun, until the last golden leaf drops from the trees and Cape Cod is wrapped in a blanket of snow, there are endless adventures to be had. Each season brings interesting events to attend, new menus in restaurants with seasonal specialties to be enjoyed, lighthouses to visit, birds to watch, trails to bike and hike, rivers to kayak, and beaches to relax upon with that great read you have been looking forward to. 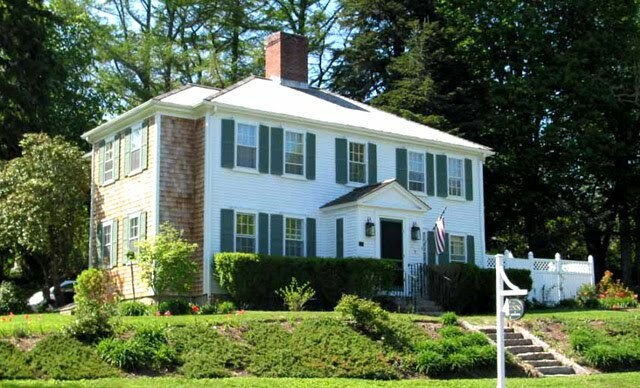 If you’re planning a short get-away or an extended vacation, we invite you to stay at our Historic Cape Cod Bed and Breakfast Inn. You will start each day with a healthy, hearty, and delicious breakfast served in the Inn’s keeping room or out in the garden when weather permits. Now you’re ready to spend the day exploring Cape Cod. Fresh baked goodies and early evening wine will be waiting for you when you return to the Inn. Charlie selects a nice red wine and a delicious white wine from his cellar for our guests to enjoy as they peruse local restaurant menus in search of just the right place for dinner. When you return from enjoying some wonderful Cape Cod cuisine, you can end your day with a snifter of brandy, port, or sherry before you retire to the lovely guest room we have prepared for you with your private bath, luxurious Egyptian cotton linens, and soft cotton robes. As innkeepers, one of our great joys is meeting and getting to know the wonderful folks who come to stay at our Inn. We hope to get to know you very soon.